As we’re celebrating the holidays and wrapping up 2014, I wanted to take a moment to wish everyone a wonderful holiday season and a happy and successful 2015 on behalf of the Medix team! Reflecting on 2014, we saw a lot happen with our economy and job market. Our unemployment rate went from 6.6 percent in January to 5.8 percent at the end of November, and the average payroll gains from the last 12 months was 224,000 new jobs. * These numbers convey that we are headed in the right direction as a nation, but I believe individually, we can take the extra step to better our communities, society and future. 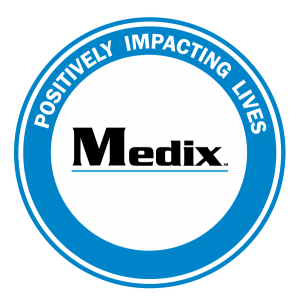 As a team, Medix firmly stands behind our core purpose of positively impacting lives. We do our best to embody this inside and outside the office by finding opportunities to make a difference. In 2015, I encourage everyone to make a resolution to go the extra mile for your teammates, clients, business partners, family, friends and community. Do your best at work to benefit and grow your team; support your favorite philanthropy; spend more energy on your loved ones, and think of the little things, like holding a door open or smiling at a stranger. Consider 2015 as a year of the opportunity for betterment. We can all make a greater impact than we realize. Again, have a very happy holiday season! This entry was posted in Clients, Currently Employed, Job Seekers and tagged Happy Holidays. Bookmark the permalink.